Earn a paycheck with a purpose. 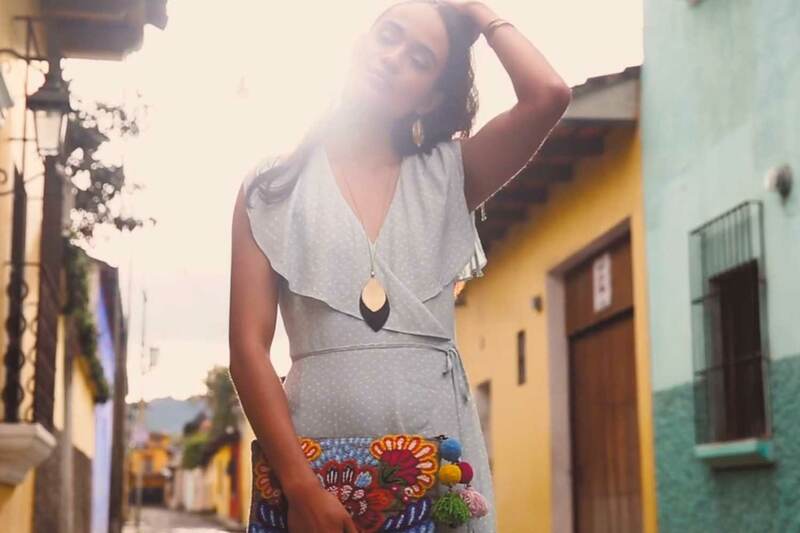 Noonday Collection Ambassadors are stylists, storytellers, and social entrepreneurs who make an impact in their communities and across the globe. Want to join us in building a flourishing world? 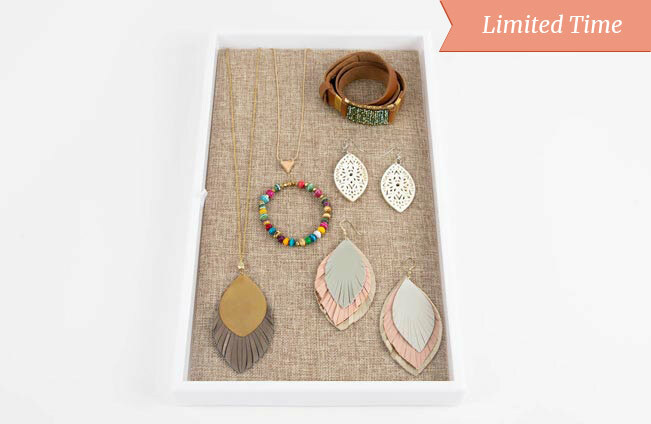 This is more than just jewelry, it’s an invitation to join the journey. As you style women in our collection, you’ll ensure that Artisans can enjoy dignified work, send their children to school, and keep their families strong. You can also fundraise for adopting families by holding Adoption Trunk Shows to help them bring their children home. We make it possible to do Noonday your way—whether it’s holding 1-2 Trunk Shows a month for some extra spending money, or growing a flourishing business for a full-time income through coaching. Ambassadors can earn trips to meet our Artisan Partners across the globe! Learn how to roll paper beads in Uganda, go zip-lining in Guatemala, or gather for a traditional Peruvian feast while discovering how your business is making a difference. See where we’re going. CALLING ALL CURIOUS WORLD CHANGERS! 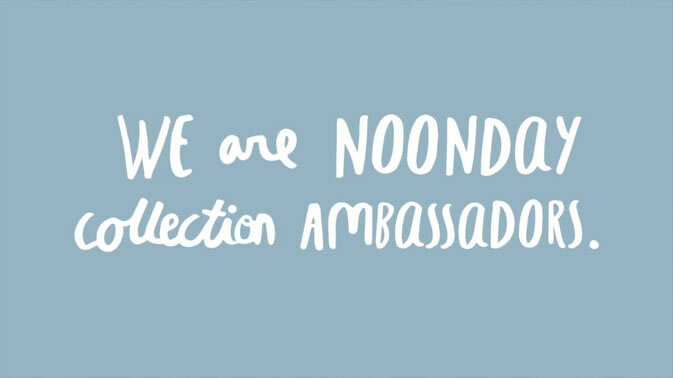 Join Noonday Collection team members on a LIVE call to learn more about starting your own Ambassador business. 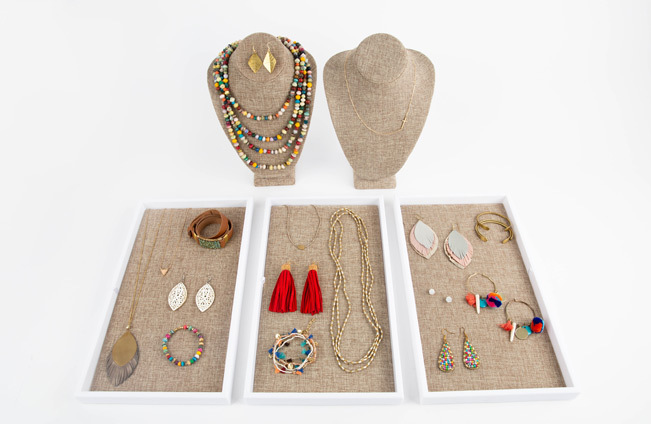 As an Ambassador, you’ll create a marketplace for Artisans around the world by partnering with Hostesses to hold Trunk Shows. Trunk Shows are fun in-person or online events where you help women find styles they love while sharing the stories of transformation behind our collection. We believe that by styling our friends, we can change the world. We are a sisterhood of passionate, purposeful women who seek to make a difference in the world. And we’ve got a place just for you. We make it easy to build the business of your dreams. Select the Starter Collection that best fits your budget and commitment level, dive in to our step-by-step training specially designed for new Ambassadors, and get your first few Trunk Shows on the calendar! Your Coach, along with our Sales and Support teams, will be with you every step of the way. 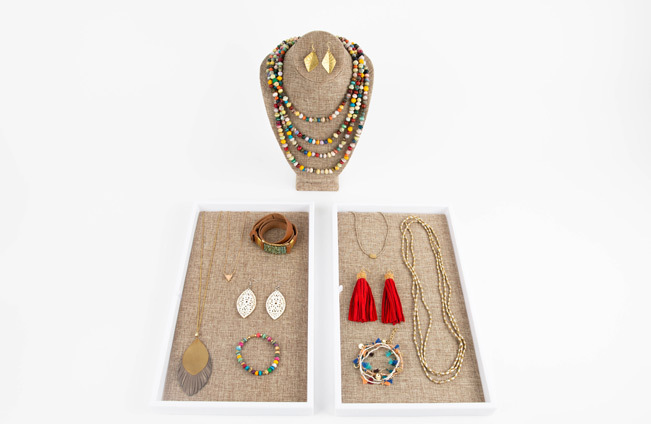 In addition to a curated selection of accessory samples, each collection includes valuable business tools to help you start strong, including storytelling and selling tools, our latest lookbooks, and a DVD of the Noonday Collection story. Join by April 30 and get started for just $99! *New Ambassadors who join in April must hold a qualifying Trunk Show ($300+ and 3+ unique orders) by May 31, 2019 to qualify to receive the free Kick-Start Capsule. 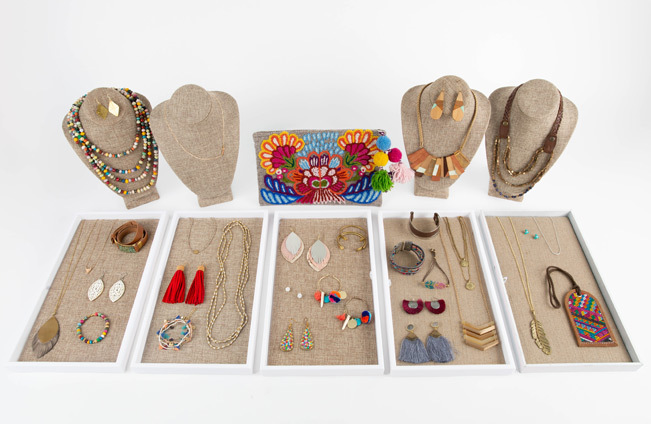 Get your first few Trunk Shows on the calendar! Picture this: You purchase our recommended Essentials Starter Collection, which includes $850 worth of product for just $349. Based on average Trunk Show sales*, if you hold three Trunk Shows in your first month, you’re projected to earn $600 in commission, earning your investment back and making a profit of $250. 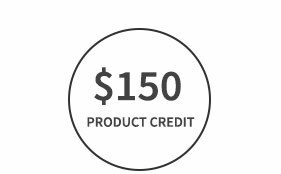 Plus, you’ll earn $150 in product credit through our Runway rewards program, which rewards Ambassadors in their join month and first three full months with product credit for reaching their goals. *The earnings represented above are based on average Trunk Show sales of $800 and are not necessarily representative of the income that an Ambassador can or will earn. There is no guarantee that an Ambassador will earn any income, and like any business, the success of each Ambassador depends on her unique abilities and how much time and effort she dedicates to her business. For more details about the Noonday Collection Compensation Plan, reach out to your Ambassador or email our support team. We offer opportunities to experience Noonday Your Way as you choose the impact pathway that best fits your life. For all kinds of women, Noonday provides a meaningful way to earn a supplemental income while making a global impact. Every Ambassador makes a difference. As a Contributor, you can make an impact in just a few hours per week. Want a part-time job with impact? As a Builder, you’ll hold 1-2 Trunk Shows each week and may choose to expand your impact through team building. Join our top star sellers to earn increased commissions on every sale and make a powerful impact by holding multiple Trunk Shows each week. In addition to holding Trunk Shows, maximize your impact through building and developing a team of world-changing Noonday Ambassadors in your community. When we look across the globe, we don’t see strangers - we see ourselves. Why do you use a direct sales business model? We use a direct sales business model because it allows us to make a bigger impact for women in the United States and our Artisan Partners around the world. By selling Noonday Collection products through a community of Ambassadors, we are creating a fast growing market for Artisan products. In just five years, Noonday Collection has become the largest and fastest growing fair trade jewelry business in the world – and this is because of our Ambassadors! In addition, we are passionate about empowering women. The direct sales model enables us to provide income to women in the United States through a flexible business model that empowers them to become social entrepreneurs. How much do I need to maintain in sales each month to keep my active commission status? 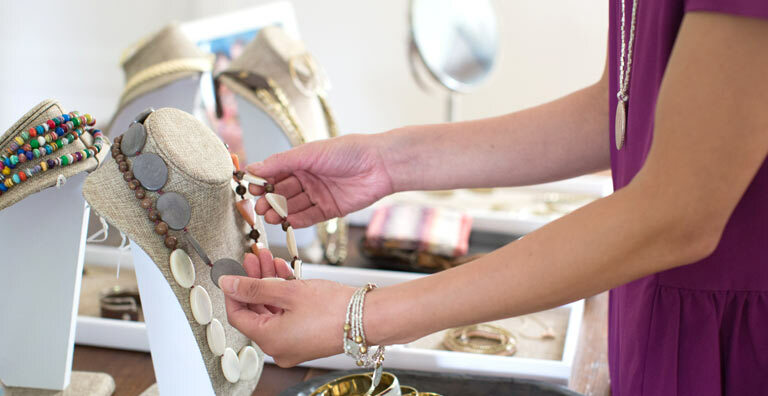 You will need to have ongoing Trunk Shows to maintain momentum in your business. The minimum requirement is to hold at least 1 qualifying Trunk Show in a rolling 6 month period. A qualifying Trunk Show is $300+ in sales with at least 3 orders. Will I need to purchase additional marketing materials such as catalogs, order forms and business cards? With your initial Starter Collection you will receive the marketing materials you need to get started, including lookbooks, mini lookbooks, order forms, and a DVD of the Noonday story. Ambassadors can even earn additional business tools through our generous rewards programs. You will also have the opportunity to purchase additional business tools as needed. 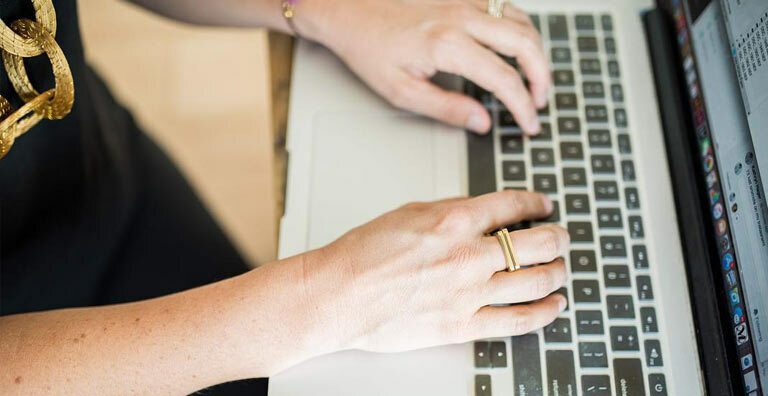 In addition, we’ll provide you with a comprehensive digital marketing kit each season, equipping you to grow your business and inspire your community to partner with you. This kit includes templates for business cards that you can have printed online or through a local printer. Are Trunk Show orders shipped to each customer or am I responsible for delivering product? All Trunk Show orders ship directly to each customer, so you can focus on holding Trunk Shows, growing your business and making an impact!